Singer Mary J. Blige attends the Ryan Cameron Morning Show with Wanda Smith at V-103 Atlanta on April 27, 2017 in Atlanta, Georgia as she promotes her new album. Mary J. Blige may be spitting fireball lyrics about her soon-to-be ex-husband on her new album, but the songs didn't start from a place of anger and hate. "This album ... (was) written from the perspective of me fighting for my marriage. And then when it all blew up in August, I had to start rewriting songs," Blige said in an interview this week. The Grammy-winning icon said she spent months releasing her emotions and heartache on "Strength of a Woman," out Friday, which features a number of details about her very public breakup and ongoing court battle with her former manager and husband, Martin "Kendu" Isaacs. "There was no moment where I felt like I was going to keep this in because it was way too much for me to handle on my own," said Blige, best known for her sad and painful songs. "These are things I needed to get out. I needed to express myself and so it hurt, but it's good. It's good." "There is no happy ending right now because we're in the thick of it," said Blige of her divorce settlement. "We're in the midst of all this foolishness and until the divorce is final, this is where we are. But I'm going to smile and have people make me smile and love myself and not give up." Grammy-nominated singer Jazmine Sullivan, who has written for Blige, Jennifer Hudson and other R&B stars, said writing for Blige's new album was an emotional rollercoaster because as Blige's life changed, so did the songs they were crafting. "The first single ('Thick of It') was different the first time I wrote it. She called me, she was in a different state and then as things started to change in her life, she had to call me again and kind of fill me in, and we had to make some changes to the song so it could fit where she was at that point," she said. "It actually started as kind of a happy, uplifting song because she was fighting for her marriage and trying to make it work, so it came from that point of view. Some months later she said things had changed, so we had to change the lyrics." 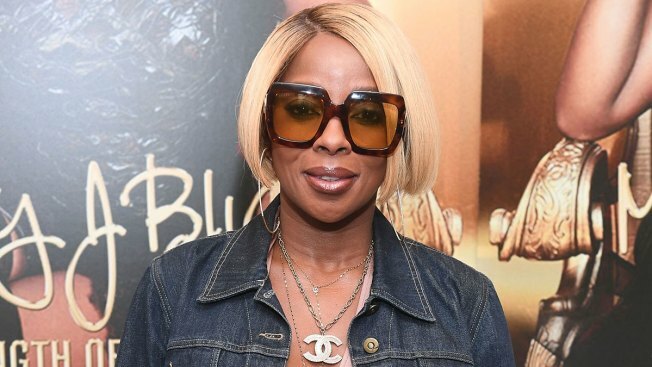 As with most heartache, Blige moves on to the revenge phase with songs like "Glow Up," where she teamed with Missy Elliott, DJ Khaled and Quavo from Migos to fire a warning shot: "You had this one coming," she sings. "You made me cry. Now it's your time." In the deceptively smooth "Set Me Free," Blige sweetly croons, "There's a special place in hell for you. You gon' pay for what you did to me." "I needed that moment. You know, I'm angry. I've been had," she said. "My music is therapeutic to me as well." It's not all darkness and rage. Blige sings about finding love after heartbreak in "Smile" and teams with Kanye West for the empowering anthem "Love Yourself." And as the album title suggests, Blige certainly finds her strength through uplifting tracks like "Indestructible" and "Survivor." "It's about knowing you're worthy and it's a process," she said. "I haven't come out the end yet. Not yet. Every day you have to remember to love yourself. ... I'm in the like myself (stage) really heavy. But to love yourself is (a) process, but I'm getting there." Blige, 46, said her harrowing journey through pain and self-discovery has not left her without hope for the future. However, she may think twice before walking down the aisle. "I haven't given up on love, but I definitely gave up on marriage for a while. I think I'm good on marriage for a while," she said.